Just when you think you can't write about another mouse in a restaurant, a Philadelphia Department of Public Health inspector reports that one of the little critters showed up on a wok station. 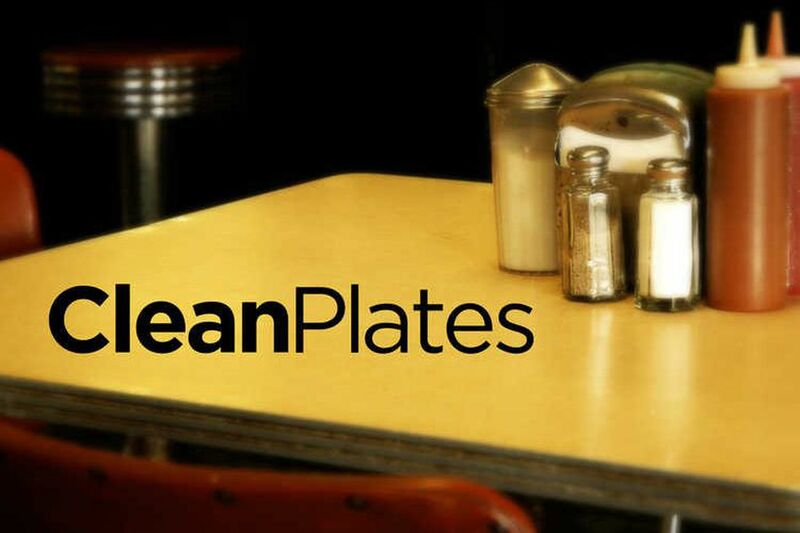 Throw in some live roaches, broken toilets and faux grass and you have the latest round up of Clean Plates. Between Feb. 1 and Feb. 14, inspectors temporarily closed 19 restaurants, markets, and stores. The inspectors visit nearly 1,000 eateries and food retailers every two weeks. Each inspection is generally regarded as a snapshot in time, and not necessarily a reflection of day-to-day conditions. Most violations were corrected immediately in the presence of an inspector. Location of Texas Wieners at 1426 Snyder Ave. There was potentially hazardous ready-to-eat food, including cheese, prepared in the food facility and held for more than 48 hours, located in the ware washing area refrigerator, that was not properly date marked; time in lieu of temperature was used in the food facility to control ready-to-eat potentially hazardous foods without proper written procedures or documentation to verify disposition of food; no soap observed at ware washing area hand sink or the restroom; the restroom vents were dirty; ceiling tiles throughout the facility needed to be repaired. Due to imminent health hazards observed during this inspection, the establishment was issued a Cease Operations Order and must discontinue food operations immediately. The establishment could not operate for a minimum of 48 hours. Inspected Feb. 14. Potentially hazardous foods, including salad dressings and cheese, and cheese sauce were not being held at proper temperatures; mouse droppings were found on the lower prep table shelves, a table beneath the electric steam table, prep area window sills, gas lines, and electrical outlet boxes; the slicer has an accumulation of food residue on the food contact surfaces and is not being washed, rinsed and sanitized thoroughly; a cell phone was found on a food prep surface; thermometers are not provided for all refrigerators; residential microwaves were found; back flow prevention devices were not found at the water meter and basement hose bibb. Chicken salad with use-by-date of Jan. 13 was observed in the food prep area; hot water was not available for hand washing; bags of onions were found sandwiched between open bags of rock salt; faux grass observed in deli case; there was an accumulation of food debris on the table under flat grill and on table under slicer; a build-up of dirt and grease on the outside of bread storage container; food debris observed on faux grass liners in deli case; debris and build-up on deli case doors and in door tracks; an accumulation of dust and grease on the sides of the fryer; old mice feces found on basement shelves. Due to conditions observed during the inspection, the establishment agreed to discontinue food operations and voluntarily close until it is approved by the Department to resume operations. Inspected Feb. 14. Mouse droppings were found in the food prep area and along floor perimeter throughout facility; drain flies were found in the food prep area; uncovered chicken, ice cream, spring rolls, and broccoli were found in refrigerator and reach-in freezers; raw chicken was stored above ready-to-eat foods in the reach in freezer; the facility does not have a hand wash sink conveniently located in the restroom area; a food safety certified person was not present; employee medicines and personal hygiene products were not stored to prevent the contamination of food, equipment or utensils; cigarettes and a wallet were found stored above food prep/cold-hold station. Location of Just To Serve You, Too Restaurantat 5132 N 5th St. There was no hot water throughout the facility; the hot and cold water nozzles at the food prep sink were damaged; the inner cavities of the microwave had food residue; there was an accumulation of grease on the exhaust hood filters and the deep fryers; working bulk food ingredient storage containers were not labeled with the common name of the food in the food prep area and walk-in cooler; static dust had accumulated on the vent in the women's restroom area; an accumulation of debris was found on the floor perimeters behind the cooking equipment in the food prep area. Due to conditions observed during the inspection, the establishment agreed to discontinue food operations and voluntarily close until it is approved by the Department to resume operations. The inspection revealed a change of ownership. You are required to complete a Change of Ownership Application. Inspected Feb. 13. A live mouse was on the wok station; mouse droppings were on the floor next to the wok station; a bucket of tofu was found on the floor of walk-in cooler; a bin of sauce in refrigerator, a bin of chopped scallion in cold hold unit and two bins of sauces in walk-in cooler were not covered; grease had accumulated between equipment under the hood and on the wok station; food storage containers in refrigeration units were not labeled with common names of the food; the steam table was not operational; an unapproved knife holder was found between the food preparation table and cold hold unit in food preparation area; a hoodie was hung on a food storage rack. Due to imminent health hazards observed during this inspection, the establishment was issued a Cease Operations Order and must discontinue food operations immediately. The establishment could not operate for a minimum of 48 hours. Inspected Feb. 12. 2632 Cecil B. Moore Ave. Hot water was not up to the required temperature; customers could not properly wash their hands at the portable baby changing station hand sink because of the lack of hot water; mouse droppings were found on the floor between the refrigerator and a cabinet and along pantry floor perimeters; the bottom of the rear exit door was not in good repair; severely dented canned items were found in the rear pantry area; an accumulation of dust was found on vents in restrooms; the prep area ceiling tiles were not smooth and easily cleanable. Access to the basement was not granted during the inspection. Basement access must be granted to assess license eligibility. The food safety person not present for the inspection. Due to imminent health hazards observed during this inspection, the establishment was issued a Cease Operations Order and must discontinue food operations immediately. The establishment could not operate for a minimum of 48 hours. Inspected Feb. 9. The location of Comhar at 3825 Whitaker Ave. There was no hot water available throughout first floor of the facility including the food preparation area; inadequate/defective ventilation was observed in the restrooms; an accumulation of dust was found in the restroom ceiling vents. Due to conditions observed during the inspection, the establishment agreed to discontinue food operations and voluntarily close until it is approved by the Department to resume operations. Inspected Feb. 9. Pet food in the retail area was deemed unsafe, it was contaminated by rodents; mouse droppings were found in the retail area and on the shelves; rodent bait packets were not stored inside tamper resistant boxes; dust and debris were found on the floors and perimeters in the retail area; there were water stained ceiling tiles in the retail area. Breads and uncovered crab legs were observed covered with condensation in the walk-in freezer; mouse droppings were found in the food preparation, utility room and in an unapproved storage area; food, including chicken, milk and cheese were not held at the proper temperatures; hot water cannot be turned on at hand sink in food preparation area due to a stuck knob; containers of loose candy and gummies in the retail area were not labeled; employee's cough syrup and vapor rub were stored in the food preparation area and were not stored to prevent the contamination of food, equipment or utensils; food employee observed not wearing hair restraint, such as nets, hats; stained wiping cloths were found with utensils in the three bay sink in soiled sanitizing solution; alteration or construction in the facility began prior to plan submission and approval. Due to imminent health hazards observed during this inspection, the establishment was issued a Cease Operations Order and must discontinue food operations immediately. The establishment could not operate for a minimum of 48 hours. Inspected Feb. 7. A live roach was found on the food preparation table; mouse droppings were seen throughout the establishment including the surfaces of noodle storage bins, condiments bottle holder on the wok station, the food preparation tables and the drain board attached to three bay sink; half consumed water bottles were found on the food preparation table; ground meats were thawing in a bucket at room temperature; there was grease and dust accumulation on hood filters, hood canopy and fire extinguish nozzles in food preparation area; food was not stored at least six inches above the floor; lower shelves of food preparation table were rusty; there was food debris and grease accumulation observed on the wok station. Due to imminent health hazards observed during this inspection, the establishment was issued a Cease Operations Order and must discontinue food operations immediately. The establishment could not operate for a minimum of 48 hours. Inspected Feb. 6. The location of O’Neals Pub at 611 S 3rd St. There was no hot water at the facility; employees unable to properly wash hands due to the lack of hot water; the type of galvanized mechanical hood in the kitchen was unapproved. Due to conditions observed during the inspection, the establishment agreed to discontinue food operations and voluntarily close until it is approved by the Department to resume operations. Inspected Feb. 6. Hot water was not available at any of the sinks throughout the facility; the hand wash sink in the restroom was defective and in need of repair; there was no soap or paper towels at the hand wash sinks; the microwave, refrigeration units, deli case, deli surfaces and the retail shelves were in need of cleaning due to accumulated residue and debris; there were no thermometers in some of the refrigeration units; there was encrusted food residue on the slicer surfaces; a rug, cardboard and tape lined the retail floor, there was severe floor and ceiling damage throughout the retail area; there were missing/damaged wall areas in the restroom and ware washing area. The inspection revealed a change of ownership. You are required to complete a Change of Ownership Application. A food safety certified person was not present at the establishment. Facility did not have hot water; there were mouse droppings on the floor corners of the ware wash area; there were uncovered trays of pastries in the walk-in freezer; employees' jackets lying on boxes of food in the storage area; a plastic cup was used as a scoop in an ice bin; breaded chicken was not being thawed properly; bags of bait were found behind the counter. Due to conditions observed during the inspection, the establishment agreed to discontinue food operations and voluntarily close until it is approved by the Department to resume operations. Inspected Feb. 5. The location of Texas Fried Chicken at 6051 N 5th St.
Dead mice were found in the ware washing and basement areas; mouse droppings observed in the food prep, ware washing, and basement areas; alteration or construction began prior to plan submission and approval; utensils observed stored in a container of stagnant water; soda nozzles had old juice debris and dirt contaminates accumulated on its food contact surfaces; food was not stored at least six inches above the floor in the ware washing area and inside the walk-in box; duct tape was on the handle of the walk-in box; cutting boards had deep scratches and scoring that did not allow for effective cleaning and sanitizing; chemicals were stored above or on the same shelf with food, equipment, and/or single service articles in the ware washing area; dirt and food debris observed on the door tracks of the refrigerator. Due to imminent health hazards observed during this inspection, the establishment was issued a Cease Operations Order and must discontinue food operations immediately. The establishment could not operate for a minimum of 48 hours. Inspected Feb. 5. There was visible evidence of insect or rodent contaminated foods in the retail area; gnawed through bags of pet food were found on the shelf; a dead mouse was found on a trap in rear storage room; mice feces were found on the shelf where sodas were stored and on the floor in the retail area, under crates where onions are stored and behind ATM machine; the water to the toilet was turned off because of a leak in the water line, there was waste in the toilet; potentially hazardous foods including deli meats, cheese and bacon were held at improper temperatures; an employee's beverage container was found open in a food preparation area; a pail and other items were found in the hand sink; open cans of ketchup were found without tight fitting covers; creamer and sugar at self service coffee station are not covered; hood filters had an accumulation of static dust and grease. Due to conditions observed during the inspection, the establishment agreed to discontinue food operations and voluntarily close until it is approved by the Department to resume operations. Inspected Feb. 2. A live roach was found in the hand wash sink in the bar area; a food safety certified person was not present at the time of inspection; there was ice buildup in the reach-in freezer in the bar area; the men's restroom sink faucet was in need of repair; there was a hole in the wall in the women's restroom area; garbage containers outside the facility did not have lids. Due to no certified food safety person on site, the establishment agreed to discontinue food operations and voluntarily close until it is approved by the Department to resume operations. Inspected Feb. 1. Eateries scheduled for hearing in the Court of Common Pleas on Feb. 15. Pemberton Grocery, 615 S 56TH ST.; Spears Personal Care Home, 62 W HARVEY ST.; Carroll Park Breakfast, 1236 N 52ND ST.; Mr. Hook Seafood Market, 6042 WOODLAND AVE.; 1st Oriental Market III, 2842 SAINT VINCENT; FUEL, 1917 E PASSYUNK AVE.; Caribbean Feast, 1338 RISING SUN AVE.; Melrose Diner, 1501 SNYDER AVE.